The Phuket Weather in November is one of the best times to visit Phuket. Thailand and Phuket is busy from November to March. The official High Season. The temperatures are pleasant (between 25 and 30 degrees), and there is little rainfall. It gets hotter as we move towards March and June, with April and May usually the hottest months. The temperature can then rise to 40 degrees and humidity high until a thunderstorm runs through this tropical destination and clears the air. Phuket Weather in November what to expect. October into November usually marks the end of the South Westerly winds. The wind changes and comes from the Noth East. Light cool breezes can be expected at these time and the Sea whilst still warm will be a lot cooler. 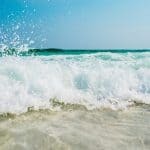 One outlet for great weather forecasts is the local radio station 91.5 and 102.5FM and don’t worry if you are not in Phuket yet you can tune in online HERE. One of my favourite times of the year, the Phuket Weather in November is not packed with tourists. Phuket Vegetarian Festival has been put away, Loy Krathong is here and the island starts to get ready for Christmas and the busy season. Sea conditions and the Phuket weather in November can be deceptive, so do take care. If you are on the beaches DO take note of the Lifeguard flags. 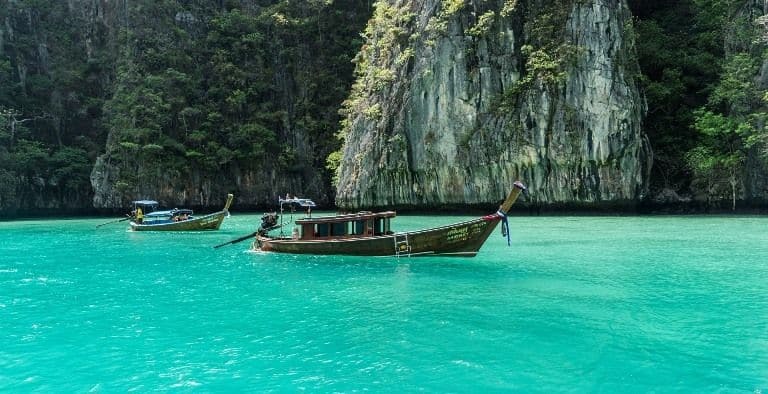 This is a great time to visit some of the Phuket Islands, or even venture into Krabi and perhaps the Khao Sok National Park for a night or two. The Phuket temples are not so hot or crowded at this time. 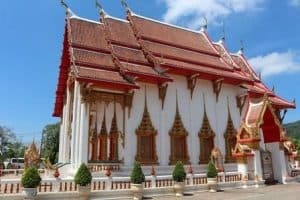 Definitely, find time to visit Wat Chalong temple. The Phuket weather in November nights are cooler than the winter months and you can expect to get decent nights sleep if you’re staying somewhere quiet. One such resort is Nakalay Palm Resort, a 10-minute drive from the hustle and bustle of Patong. Situated on the main West Coast road from Patong to Kamala Beach. Luxury serviced apartments and at an affordable price, read more HERE. They also have a resort video HERE.